Our Vitebsk tour will take you to the most important industrial town in the north-east of White Russia. At the confluence of the Visba and the Dvina you will find this old trading metropolis and cosmopolitan centre of arts with a distinctly western flair. Vitebsk can look back on over 1000 years of history, which started in the Kievan Rus. There was a frequent change of ruler in the Middle Ages when it was a trading centre, and each one left his mark on the appearance of the town. The town was Lithuanian, Polish, Russian and the inhabitants were representative of many nations and religions. Napoleon besieged and devastated Vitebsk and by doing so laid the foundation stone for the catastrophic end of his Russian campaign. In Vitebsk, the tramway is everyone’s pride and joy. Vitebsk was the first town in Belarus to have such a form of transport (since 1898). Tramways were introduced at a later date even in Moscow and St. Petersburg. Vitebsk, like many other eastern European towns, was almost completely destroyed in both World Wars and subsequently rebuilt retaining very little of the original historical substance. The town nevertheless still has sights worth seeing. The name of Marc Chagall is inseparable from Vitebsk. He was born in the town and was a world-renowned member of the Russian avant-garde. Vitebsk was the centre of this art style at the beginning the 1920s. Many museums, galleries and monuments in the town focus on Marc Chagall’s life in Vitebsk and his contemporaries, such as Kasimir Malevich and El Lissitsky. Thanks to these famous painters and to the international art festival Slavianski Bazaar, Vitebsk is known as the cultural capital of the country. Vitebsk can be reached either in a comfortable touring coach or by train. If you are travelling via Minsk, this would be a good opportunity to visit the capital, which we would be happy to arrange for you. Our English-speaking tour guide will be waiting to welcome you and will take you to your hotel. There he will assist with the checking-in formalities and will show you to your room. Later he will discuss the programme for the coming days with you, giving you useful tips about the town and country and will answer your questions. 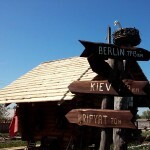 You will take a stroll together around the town and have an evening meal in a typical Belarusian restaurant. Your tour guide will pick you up after breakfast and will explore the magic atmosphere of the Belarusian cultural capital with you. First of all your tour will take you to the lovingly restored old part of the city. At the heart of the old town is the picturesque town hall, from where there is a beautiful panorama from the viewing platform. Afterwards you can explore the restored Church of the Resurrection, which affords a charming view of the Dvina as it flows past, and likewise the Church of the Annunciation, one of the oldest churches in Belarus. We will then climb Uspensky Hill, which is an extensive municipal park, on top of which there is a monument to Napoleon’s Russian Campaign in 1812, during which the town was almost completely destroyed. From there you can take a look at the “Jacob Kolas” Theatre of Drama which is important for White Russian culture, and then continue on down Kirov Street. Tip: It is worth returning to Kirov Street after dark to see the festive illuminations. Next stop is the house where Kasimir Malevich and Marc Chagall had their joint art studio and school. You will have lunch in the local Ussadba Restaurant with Belarusian and European cuisine. This is situated in the centre of the town park. Having recharged our batteries, the afternoon will start with a visit to the main cathedral of the archdiocese of Vitebsk, the Cathedral of the Intercession of the Virgin Mary. In passing, we will see where the house stood where Chagall learnt to paint, under the guidance of his teacher Yuri Pen, a follower of Ilya Repin. Next you will visit the venue of the Slavianski Bazaar (the largest international cultural and song festival in Belarus, which takes place every year in July), followed by the Smolenski market, where local producers offer their wares for sale. The grand finale of the tour is the impressive, central Victory Square, a pompous ensemble of monuments commemorating the Second World War. The tour will end around 4 p.m. and you can continue to explore Vitebsk on your own or have a rest in the hotel. In the evening your guide will collect you and go with you to visit an artist at work on his latest creation. We are talking about Alexander Nikolaevich, graphic artist, literary scholar, author of numerous books related to writing. The artist will give you an insight into Belarusian art history and will explain what is happening in the Belarusian art scene. You will have supper together. After breakfast, your guide will pick you up at your hotel. He will drive you to the former Jewish quarter of Vitebsk. After a brief introduction into the Jewish history of the town, you will visit the Marc Chagall Museum, where the artist spent his childhood and youth. This will be followed by a stroll to the ruins of the old Pokrovskaya Synagogue, which was the largest synagogue in Vitebsk. From there, you will drive to the Marc Chagall Art Centre, another museum dedicated to the artist and containing many of Chagall’s etchings. And finally to the Vitebsk Art Museum where you can study Belarusian folk art, pictures by Yuri Pen and other Vitebsk artists. You will have lunch in one of the best restaurants in town, in the Zolotoy Lev, after which you will leave Vitebsk and drive about 20 km north-east to Zdavnevo. This is where Ilya Repin had his country house and he was a frequent visitor there between 1892 and 1902. It is now a museum housing his works. It lies directly on the banks of the River Dvina, so you can appreciate the beauty of rural White Russia here. There are various alternatives on offer for your evening entertainment. If you just want to relax and take in the newly acquired impressions, then you may prefer to have a free evening. Otherwise you might like to attend a cultural event; if you wish we can arrange tickets for a play at the Theatre of Drama, or in the puppet theatre (in Belarusian or Russian), or a concert by the philharmonic orchestra (depending on the programme). Should you be in Vitebsk at the time of the Slavianski Bazaar cultural festival, we would of course be happy to organise tickets for this event. The third alternative is appropriate in summer: a boat trip on the Dvina around Vitebsk. You will get to see the town from a different perspective on the boat. Your tour guide will pick you up from your hotel after breakfast and take you to Polotsk, about 100 km away. Polotsk is the oldest town in White Russia and in the early Middle Ages it was the most important principality on Belarusian territory originating from the Kievan Rus. As Polotsk lies on the banks of the River Polota, the town was an important trading centre on the route from the Varangians to the Greeks. Your city tour begins with a visit to the famous St. Sophia Cathedral. The ruins of the church date from the 12th century and a Baroque cathedral was built on the remains in the 18th century. After this we shall go to the convent of St. Euphrosyne which still exists today and to St. Saviour’s Church inside the convent, dating from the 12th century. This houses some very impressive ceiling frescoes and sacred relics. You will be shown around the convent by a nun. Then you will wander along the Dvina down Nizhne Pokrovskaya Street, which was the main street in Polotsk before the Russian revolution, followed by lunch in a local restaurant in the city centre. After lunch we will visit a book-printing museum. This houses the impressive library of Simeon Polotski (also known as Simeon of Polotsk, born Samuel Piotrovski-Sitnianovicz), who was an important Orthodox teacher, poet and translator in Russia in the 17th century. 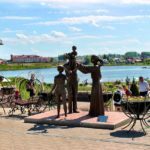 Before making your way to the station to catch the train back to Vitebsk, you will have the opportunity to stroll round the modern city centre, where attractive green spaces and numerous monuments tempt one to linger. In the evening you will have supper with a Belarusian family, who will prepare local delicacies for you including the typical “dranniki” (fried potato cakes) and borscht (beetroot soup). This will give you an opportunity to see what life is like for a genuine Belarusian family. On the day of departure you still have time to get to know Belarus better. If you would like to delve into Jewish history, then you might like to do a tour through the former Jewish quarter and meet the local rabbi in the synagogue. He can tell you more about Jewish history in Vitebsk and Belarus. If your journey is taking you via Minsk, there are many more interesting places worth seeing on the way to the capital. 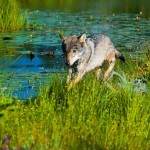 For example, you will pass the Beresinski biosphere reserve which is one of the largest European moorlands. Another possibility is the village of Shunevka, which was burnt down by the German army in World War II, together will all 66 inhabitants. An impressive monument has been erected here to commemorate the victims of this tragedy. Another option is a stop in Budslau which is one of the most significant places for Catholics in Belarus. It is a place of pilgrimage and is home to the icon of the Mother of God, which was first mentioned in 1617. It is to be found in the Church of the Assumption of the Virgin Mary, which was built in 1643 and where Bernardin monks live to this day. The church is one of three places of worship in Belarus on which Rome has conferred the title “minor basilica”. The last stop before Minsk airport is Chatyn, which is symbolic for the many villages and settlements destroyed by the Germans during the partisan warfare of 1942-1944. The best known Belarusian architect, Leonid Levin, who is no longer alive, created an impressive memorial here in 1969. We will be happy to take you to Minsk airport, which is about 30 minutes by car from Chatyn.